When you hear the term “Desktop Softphone”, it is natural to assume that it is an actual desk phone, but it’s not; the term Desktop Softphone actually speaks to a software program or app that permits a user to place calls over VoIP. It gives your computer desktop or laptop the ability to act as a powerful business phone. Using the latest technology and SIP standards, desktop softphones have won the favor of many businesses due to its ability to offer unified communications. Besides everything you can expect from a phone system, a fully-loaded desktop softphone delivers specific benefits that many standard desk phones can’t offer, including geographic flexibility, financial efficiency, messaging, presence and many others that bolster team communications and collaboration. VoIP is a location-independent technology and this allows desktop softphone users to be completely mobile, as long as they have access to the Internet. This empowers employees to stay connected with consistent in-office experience from anywhere. As an optimum tool for accessing enterprise PBX system, desktop softphone can operate as a fully-functional office extension of the PBX on a global basis. The laptop that you use at home or the coffee shop in the mornings, with a fully-loaded softphone installed, for example, Yeastar Linkus softphone for windows, can be used to make calls to set up client visits, forward an inbound call to other departments, and even check on missed call recordings and voicemails. It’s worth noting that almost all typical features of a standard desk phone are equipped. What’s even better, it also helps to avoid roaming call charges and maintain the business identity as calls are made through the company’s phone lines. 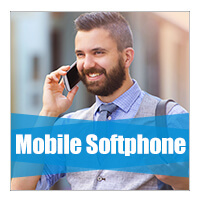 For those constantly on the go, in addition to the desktop softphone, some VoIP PBX providers also offer coordinated mobile softphone to deliver greater mobility. 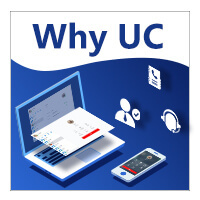 Yeastar Linkus Unified Communications App for iPhone and Android is just the one. By installing it on your smartphones you can make business calls anywhere anytime via your company’s phone line. 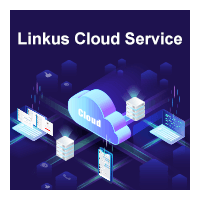 Besides, a value-added Linkus Cloud Services is also provided for Yeastar on-premises PBX users to avoid the necessity of port forwarding when using Linkus outside of the company, and deliver more robust unified communications features. The era of digital transformation has begun to radically redefine business communications. Voice is no longer the only way – or even the preferred way – to stay in touch with colleagues. Instead, group chat, instant messaging and content sharing are now fundamental. A robust desktop softphone can help realize all. It gives your employees more dynamic ways to communicate. With a simple click on the mouse, you can send an instant messaging to any of your co-workers from the enterprise directory or start a group chat for brainstorming sessions. Sometimes, an instant sharing of files and documents is also possible to make team collaboration easier, quicker and more convenient. But, notably, not all the desktop softphones in the market are equipped with such capability. Some 3rd party softphones would even require license for the using of it. By grouping together unified communications features like instant messaging, group chat, voice call, and other PBX phone system functionality, desktop softphone empowers a company to stay connected and collaborative with each other in a single platform. Remote workers can work even more closely together with seamless communications experience that fits into the needs. Effective sales teams rely on timeliness, and desktop softphone, with its ability to integrate with 3rd party CRM, is one of the most efficient tool available. How many times have you ever pick up a call while not knowing who is calling as the number is not stored in the phone book of your desk phone? How about if your incoming calls would auto open your desktop web browser instantly to unfold the caller details you stored in a 3rd party platform? Desktop softphone can make this really easy. For example, by using Linkus Desktop Softphone that supports Outlook Contact and Google Contact integration, you are allowed to gain a real-time access to detailed contact information with Call Pop on inbound calls; and more CRM integrations are expected to come in the future. Sounds amazing! With caller details be readily accessible when a call coming in, agents are allowed to expedite phone calls, providing the caller with better customer service experience. Presence gives you a strategic view of the availability of your colleagues, lets you know if the person you need to reach is available, and even how they may best be reached. On Yeastar Linkus Desktop softphone, presence is even more intuitive with colored status indicators. A short presence note can also be added to give additional information, like “Back at 2pm” or “Leave a message”. The powerful real-time presence visibility provides a tactical advantage in call management. With a simply a view from the desktop, employees are allowed to only call those who are available to answer, which diminishes the call wait time and eliminate the guessing game. Besides, by knowing who is online and available, inbound calls can also be transferred with greater speed and certainty to the best contacts, reducing hold times, hang-ups, and missed calls, while improving customer satisfaction. Desktop softphones are software-based, and that means by only leveraging your existing computer or laptop, your employees can be equipped with a fully-featured business phone; there is no need to purchasing any hardware phone and new wiring. Imagine setting your laptop up in a hotel room and you instantly have all the tools of your office available to you. Or adding an employee just means buying them a PC and they can be up and running as fast as it takes to install a program. Your business line is ready wherever you need it to be without the need for additional space, equipment, or deploying any additional wires. The software nature of the desktop softphone also means that it is future-proof. Hardware ages out and eventually ends up in the dumpster. Software means a new functionality or feature is just a new patch or upgrade away. This ensures that your desktop softphone will grows with your business and assures reliability over years. Geographic flexible, financially efficient,fully-featured and future-proof, Yeastar Linkus Desktop softphone, designed to coordinate with Yeastar Cloud PBX and S-Series VoIP PBX, delivers all mentioned above and can fulfill your communication needs. Just download it for your device and take control of your communications with a complete range of calling, messaging, presence features and more.